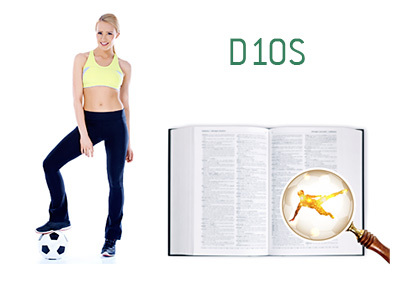 D10S Definition - What Does D10S Mean? What is the meaning of "D10S" when it comes to football? D10S used to be the nickname of Diego Maradona, the greatest footballer of all times according to many. Dios in Spanish means GOD and D10S is a play on that word with the number 10 in place of letters "io". Diego Maradona, who used to wear the number 10 jersey for Argentina, is worshipped in his home country. D10S nickname has in recent years been passed onto the current Barcelona star, the four-time Ballon d'Or winner and the current Argentinean number 10, Lionel Andreas Messi.